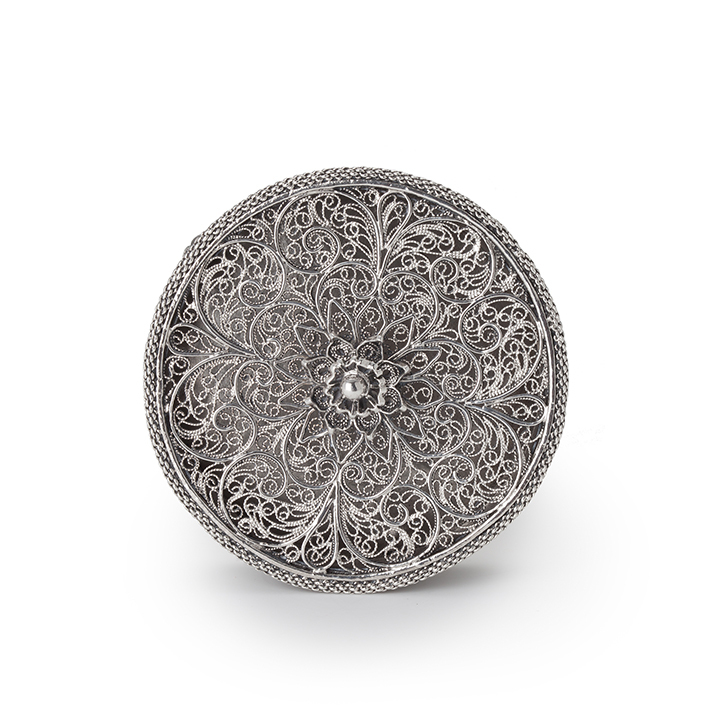 The circular filigree box has a detachable cover, topped by a floral rosette and bordered with a cable border. The base is made of a solid piece of silver, resting on three silver filigree ball supports. Only struck with an assay mark (a crowned o), an axe and ZII on the reverse; also struck with an axe and ZII on the border of the cover. A similar filigree wedding box, depicted in the book Groninger keur, cat. nr. 114, bears no marks either. The latter wedding box was probably made by Helprich Ritzema, one of the two known thread workers, who were active in Groningen between 1688 and 1736. 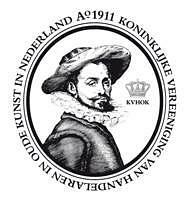 In 1733, they were joined in the guild by Albert van Veen, another thread worker. It is assumed that Albert van Veen manufactured the silver wedding box, which still contains some symbolic wedding tokens (cf. Groninger keur, cat.nr. 116). 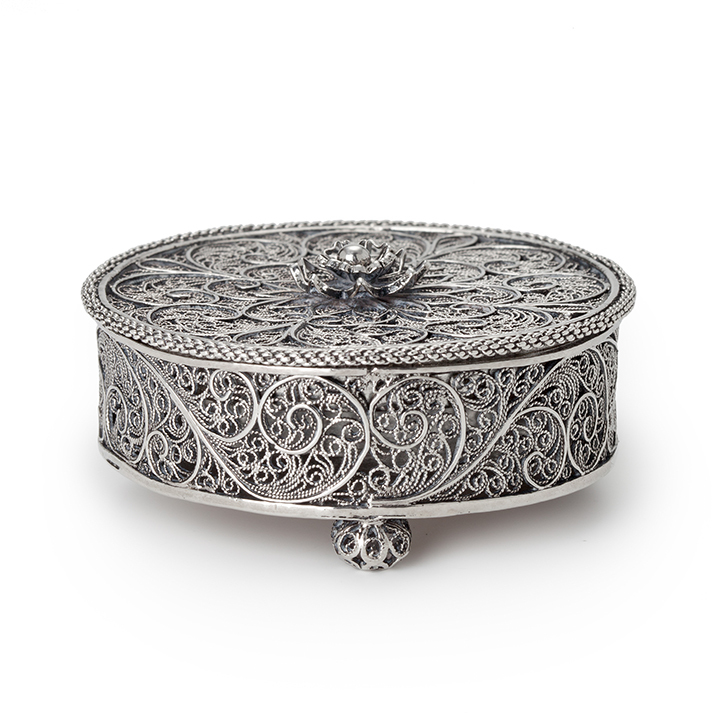 Some other circular Groningen silver filigree wedding boxes have been registered in the book, all of them originating in the first part of the 18th century.